Lunch. That is all I could think about four years ago as I sat in the consultation room with my Reproductive Endocrinologist. I wasn’t prepared for the conversation we would have. I didn’t have a list of questions to ask. I wasn’t well versed on the different levels of treatments. 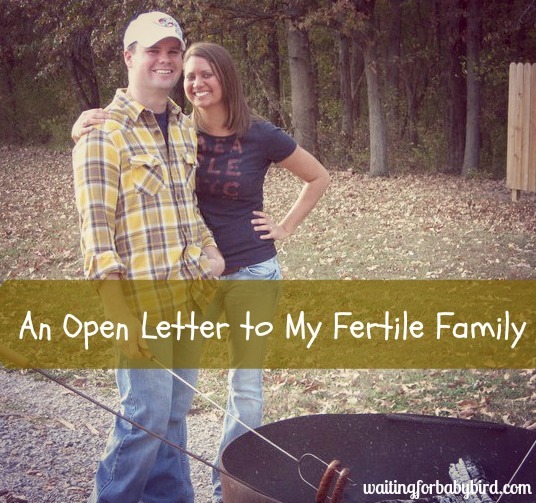 I couldn’t tell you what PGD, IUI, or ICSI stood for. All I knew was that Clomid was considered the small pup of treatment, while in vitro fertilization (IVF) was the big dog. And so when our specialist began talking, I was as lost as an Easter egg on Christmas morning! I remember smiling and nodding my head as if I knew exactly what he discussed. I also remember feeling dizzy as our brief conversation ended and we walked out of the room. I was no longer thinking about lunch, but rather the fact that I felt like I had just been through the spin cycle of a washing machine. My stomach was twisted in knots and my head was literally spinning with information and numbers. I was confused. I was overwhelmed. And I felt numb. Looking back, I wish I had gone to our first meeting prepared. Prepared with questions. Prepared with the knowledge of the different types of tests and treatment procedures. Prepared with possible treatment costs. Prepared with knowing the risks and benefits of each different treatment plan. Prepared with our own opinion. And prepared emotionally to be financially broke. But I wasn’t. I was naive, and in the end, my lack of preparedness cost me not only time, money, and energy, but also gave me unneeded stress and heartache. Heartache that I wouldn’t wish upon anyone. Not even the girl who put gum in my hair while in 7th grade class. And so today, my desire is to share with you ELEVEN tips and suggestions that I learned along the way and believe will not only help you navigate on the path of infertility treatments, but also give you more confidence, boldness, and knowledge to do so successfully. So are you ready? If so, let’s begin! Understand your doctor(s) is a lot like Sherlock Holmes. No really, they are. Each case is different. Each can be a mystery. And each one requires great attention to detail. Therefore, be prepared to do a lot of testing in the beginning because your doctor will insist on certain diagnostic measures in order to assess what is going on inside of you and your spouse. Be prepared! This process will seem slow and laborious, but it is worth it before you spend hundreds (even thousands) of your hard earned dollars on medications and treatment procedures that will prove to be ineffective. Research and understand the different levels of procedures BEFORE your first appointment. No, you don’t need to know every procedure. Or every medication used. And you do not need to be well versed on all the acronyms spoken. But please, please, please familiarize yourself with the basics. Know the difference between artificial insemination and in-vitro fertilization. Understand that Clomid and many other hormonal therapy drugs can cause less than stellar side effects (bloating, hot flashes, mood swings, headaches…). Armoring yourself with this basic and useful information will not only help save you time, time that will be needed to ask more in-depth questions, but also help making an informed decision much easier. Because from experience– there is nothing worse than agreeing to a treatment plan while confused and uneducated (but of course wearing the “I totally know what I am doing” face). Nurses are your people! More often than not, you will see them far more than you will ever see your doctor. So make them your friend. Be their friend. Treat them well. Bring cookies, cupcakes, or a pie to your next appointment. And yes, do it even when they seem cold or unfriendly. Because I have learned their lack of smiles or gentle voice when you have called to ask a very important question that needs special attention, is not about you. It’s not. So don’t take it personal. They have an incredibly stressful job and I can’t imagine how hard it must be for them to deal with women who are pumped full of hormones and acting all hysterical (even slightly psychotic) on a daily basis. So please, cut them some slack. And extend to them the same gift of grace you might want to receive. Take your spouse, a friend, or close family member with you to the appointments whenever possible. There is nothing more valuable than having extra ears, extra eyes, and an extra brain to help you remember the important information that will sometimes overload and short circuit your memory. And trust me, there is nothing worse than forgetting one of the three key steps in injecting a time sensitive drug into your abdomen at 8pm when the offices are closed. Talk about stressful! Expect the unexpected. Have you ever played a board game in which it required a little bit of skill, but mostly the winner was based upon chance? Well, infertility treatments are much like that kind of board game. You might draw cards that read, “Sorry, you missed ovulation. Go back to start,” or “Follicle size is not big enough. Skip a turn and wait.” And there is always the card that might read, “You developed Ovarian Hyperstimulation (OHSS) go back four spaces.” Because friends, while you might have a well thought out plan and strategy, and your doctor has a lot of knowledge and skill, it is still a game of chance. There is always the chance that your medication might not be delivered on time. Your insurance won’t cover certain treatment procedures. Or your body might not respond properly to the dosage prescribed and so the cycle might be delayed. Or worse? Canceled. And I realize your first reaction will be to stress, worry, or have a crazy, freak out moment in which you throw your lunch across the room. But don’t. Instead, close your eyes, take a deep breath, and trust. Trust in the One who sees the end from the beginning. Have faith to believe that while your plan was great, His is better. And that all good things will work together for your good (Romans 8:28). Besides, when has your worrying ever changed an outcome? Chances are, it hasn’t. And it won’t. So trust. Try not to compare your journey with that of someone else. I know, I know…this is easier said than done. 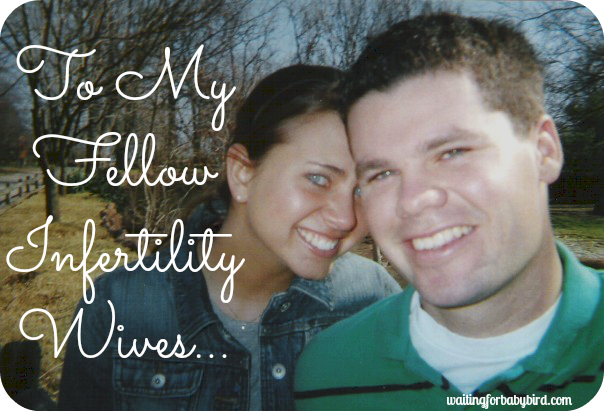 There is a real temptation to build your hope around the results of your best friend Mary who became pregnant after her first IUI. And there is also the temptation to begin feeling defeated before you ever begin treatments because of your Aunt’s cousin’s daughter who has endured four failed IVF treatment cycles and is now pursuing donor eggs. But as hard as it is, you can’t play the comparison game. Try to always keep in mind that every couple is distinctively different. And that your path to parenthood, won’t look like theirs. Instead, have the hope and faith to believe that it will look better. Your wallet might (okay, will) take a hit. 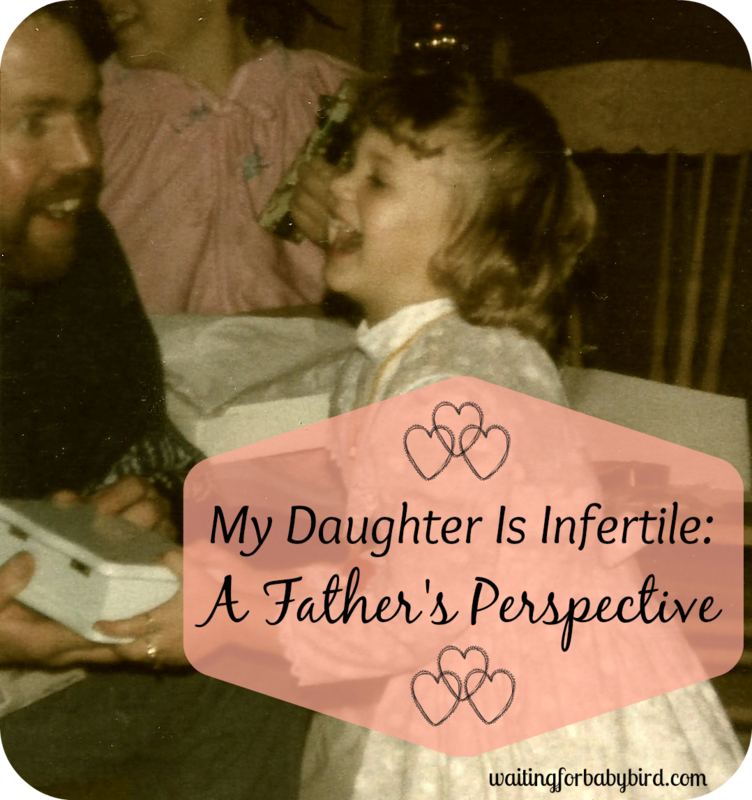 I will never forget the day I answered my telephone and heard the cheerful voice of my pharmacist request to put the first balance of my infertility medications on our credit card. I was speechless. Fertility treatments are not cheap. Not. At. All. Medications alone can be anywhere from $1000-$4,000 per cycle. OUCH! But just think! If everything goes according to plan, the money you will have spent will be worth it. Am I right? And while I want you to remain in that hopeful mindset, I realize we need to also be realistic. Because what if it doesn’t work out? What if your cycle gets canceled because your body created too many follicles? Or maybe the first or second or even third treatment cycle fails? Therefore making you no closer to seeing those two glorious pink lines than when you started? Will you be emotionally prepared to deal with the financial loss with each failed treatment cycle? Will you be able to risk losing thousands of dollars? Set boundaries. After your initial consultation and after you are armed with the information needed to decide if you are ready to move forward with a treatment plan, sit down with your spouse and discuss if you want to set time or financial boundaries. For instance, ask yourselves how long you are willing to pursue less invasive treatment procedures before moving on to more invasive ones. Or how many cycles you will attempt before you finally decide financially enough is enough. Setting boundaries up front, before your rationale and logic becomes clouded by your emotions, and before your body is pumped full of hormonal medication is important. And from experience, setting boundaries in the beginning and sticking to your convictions during the process, will save you from unneeded stress and possibly unwanted heartache. Do not lose hope. There will come a day when you might sit through a doctor’s appointment and feel hopeless. 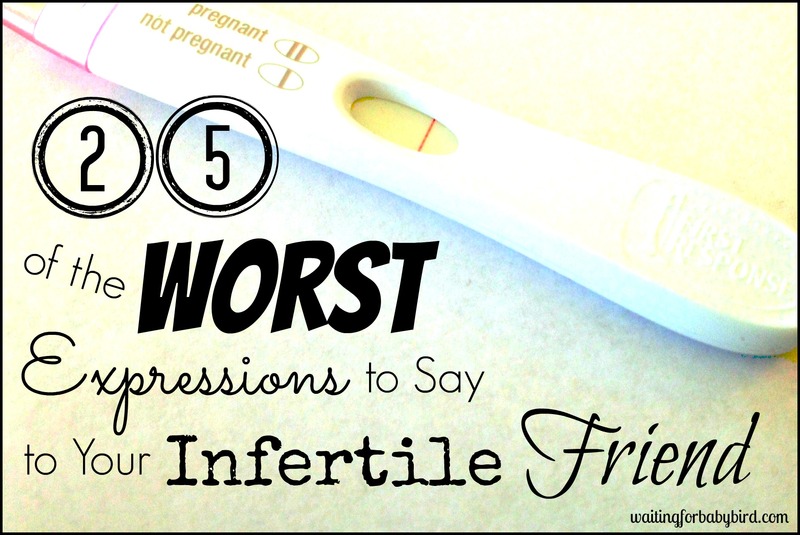 Or hear the results of a negative pregnancy test and feel defeated. And you will want to cry. You will want to get mad. You will want to take a break. You will want to pull the covers over your head and refuse to open the curtains while you binge watch your favorite television shows and eat a carton of Ben and Jerry’s ice cream. And you know what else? You will want to lose hope. But friends, while I say it’s okay to do all of those things I mentioned above, I beg of you to not cave into the last one. Don’t lose hope. Because our enemy wants us to believe that it will always be this sad or this hard or this difficult. He would want us to let go of the hope we have nurtured because he knows the power a little hope can bring into a situation. He knows that the moment we dare to keep believing things could one day change…the second we dare to hold onto hope. We win. So get mad. Let out a good cry. And go ahead and eat the ice cream. But just don’t lose hope. You never know, the next cycle might be the one that brings you your long-awaited desires. Do not be afraid to reach out. 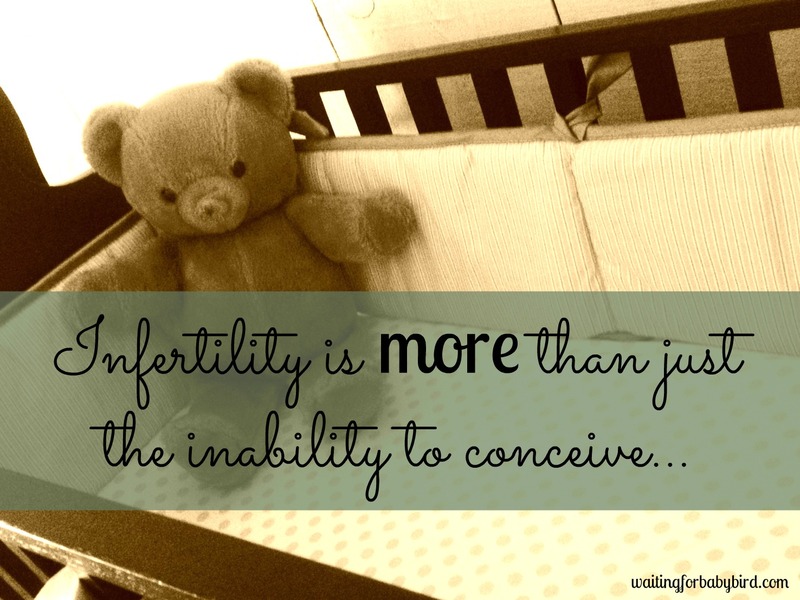 This path of infertility can make you feel broken, different, and alone. But trust me when I say this, you are not broken. You are not different. And you are not alone. There are thousands of others on this same journey, or even a similar journey, ready and willing to remind you that you have not been forgotten when your prayers seem to go unanswered. They are ready and willing to wipe away your tears when another cycle passes and your dreams seem out of reach. And they are ready and willing to give you encouragement to keep flying. Keep hoping, and keep carrying your dreams. The dreams that God has purposefully planted inside that soft, fertile soil of your heart. He wants to not only water with the tears that we shed when we cry out to Him, but He wants to cultivate them through the faith, support and words of encouragement from others so that they can grow. 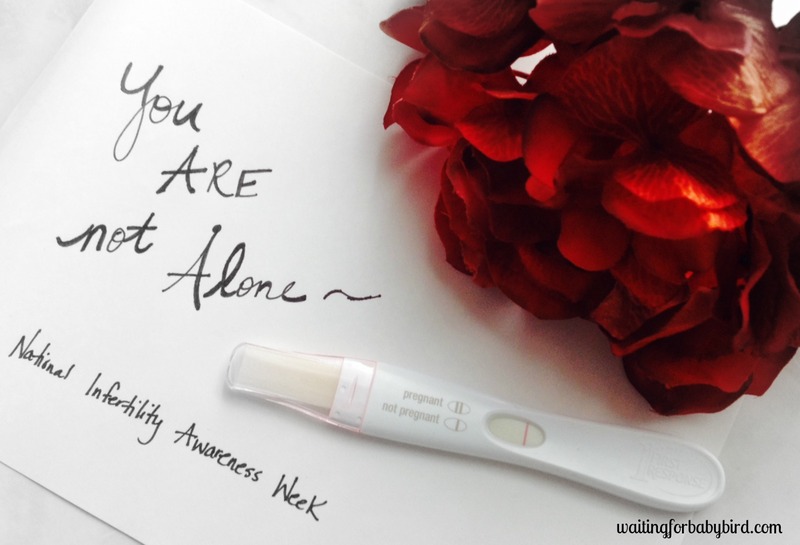 So please, don’t be afraid to seek support from those on the same or similar path; follow blogs, join Facebook groups, interact in an online forum, or seek a shoulder to cry on during an infertility support group meeting. Because from experience, doing so might just be the best thing you can do to help you on this journey. 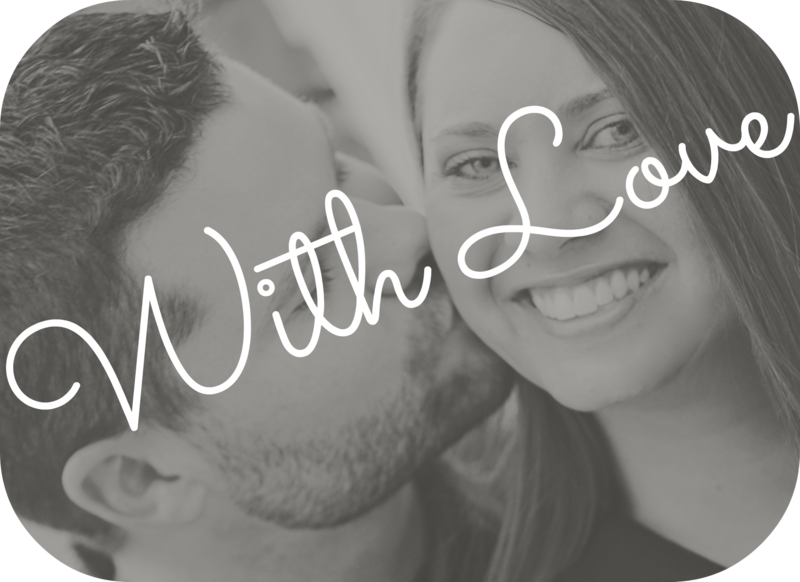 And if you don’t know where to begin, I would love for you to subscribe to this blog, or connect with me on a more personal level by finding Waiting for Baby Bird on instagram at @waitingforbabybird, or on my Facebook page by clicking here. 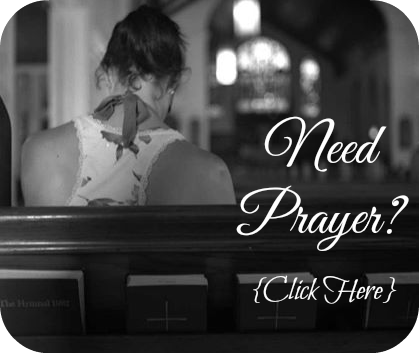 And if you live in Southern Illinois, and would like to attend my monthly faith-based infertility support group, “The Nest,” or learn more about it, please click here.